R0239. 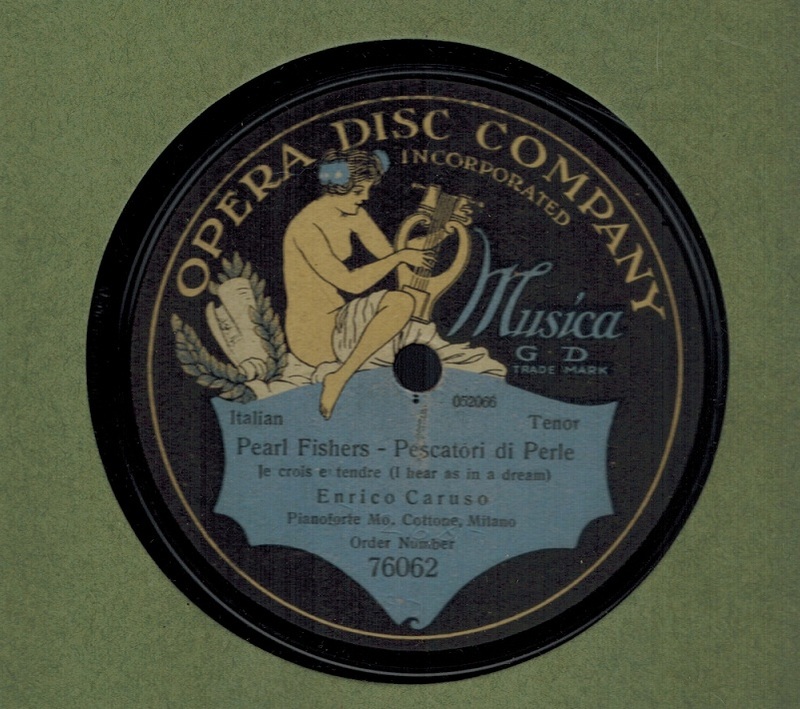 ENRICO CARUSO: LES PÊCHEURS DE PERLES – Je crois entendre (1916 Version) (in French) (Bizet). 12” AC blue & black Opera Disc 76062, POM-7 Dec., 1916. Superlative copy.